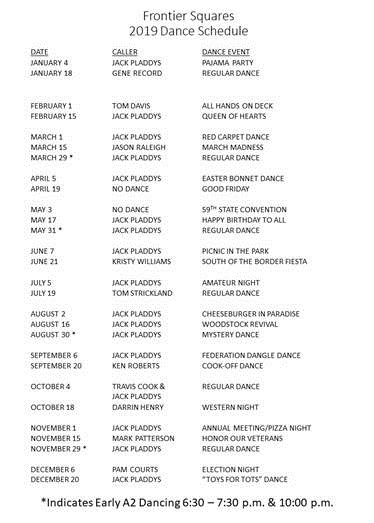 Here is the 2019 Dance Schedule! Also, visit our Calendar to add the Frontier Squares Dance Calendar to your own mobile calendar to keep up on what’s coming up next! Upcoming Grads: Review Your Calls here!